Next week I am teaching two afternoons of camp, Plush Toy Making. I am so excited and so nervous. I’ve helped in Middle and Elementary school art classes before but this is the first time that I am in charge. I need to make sure that I have a lesson plan and all the materials that the kids will need. At this point I am probably over-prepared, in part because I had a dream a week or so ago that I showed up to teach with nothing. Nothing! It was terrible. So I’ve sent a note out to the parents telling them what their child can expect. I’ve asked them to send their child with a sketchbook – because every artist, no matter what their medium, needs to have one. I’ve got my follow up note to send home at the end – telling them where to get the best supplies. I’ve got the Day One intro project ready, felt pieces cut out and thread ready for a very first project (a donut) that will teach them the two stitches they’ll be using (running and whip). 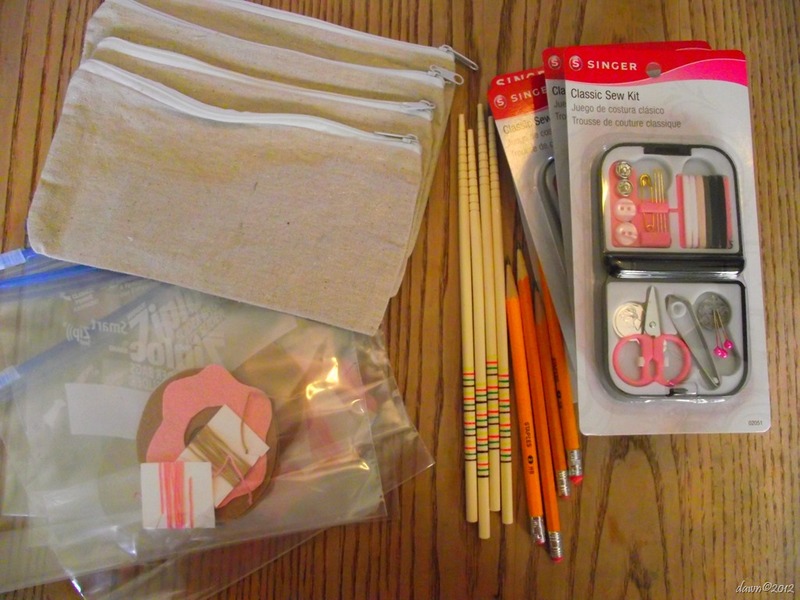 I’ve put together a little kit with a pencil, a sewing kit (with the thread taken out and proper embroidery needles added) and a chop stick (for stuffing). I’ve got felt, fabric markers, pipe cleaners, safety eyes, a couple of nice books. I’ve got to get the Day Two intro project supplies ready (mustaches on sticks). I think I’m ready. Maybe.